About - Hello Warsaw! Brand new apartment in the city center. Nowoczesny apartament w centrum Warszawy do wynajęcia na doby. A modern scandinavian style apartment in the heart of the capital. We invite you to a newly refurbished, fully equipped apartment after a complete renovation. Our guests will enjoy delicious coffee, high speed WIFI 300Mbps connection, 50 "TV, always fresh linen and towels. The apartment is located on the first floor with a view of the yard, windows facing south. 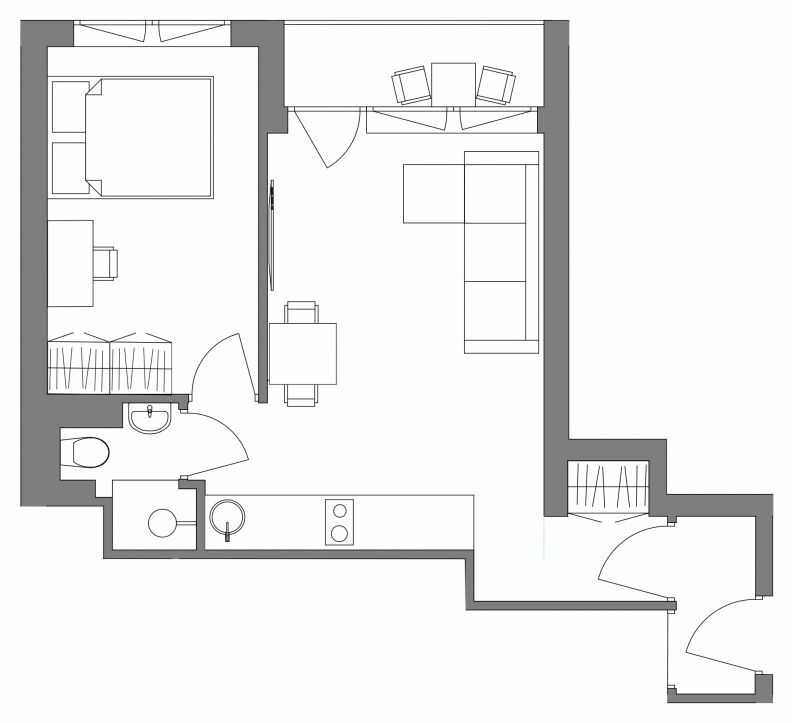 The apartment consists of two rooms - a living room with a kitchenette, a bedroom and a bathroom. - High speed WIFI 300Mbps Internet access. - delicious coffee, tea, sugar. - First aid kit, clothes dryer, vacuum cleaner, iron, ironing board.